The choo choo will be closed on Easter Sunday, April 21. Please note our new hours above starting April 8. Our burgers are made of USDA ground chuck.We cook our burgers the old-fashioned way. We start with a large scoop of fresh meat on the grill, press it flat and cook it until it has just the right amount of delicate crispiness around the edges. Served on a toasted bun with fries, or substitute onion rings for $2.45. Over a half pound. 2 fresh patties, fresh lettuce, tomato, and pickle. Over a half pound. 2 fresh patties, fresh lettuce, tomato, pickle and American cheese. For kids age 10 and under. No exceptions please! Served 2 ways! A really big pure beef hot dog with the works, served with fries. GRILLED CHEESE - Served 2 ways! The classic with American cheese, served with fries. Homemade, just like mom used to make. Piled high and served with fries. Our special cut of sliced bacon, fried crisp. Fresh lettuce, tomato & mayonnaise, served with fries. Juicy chicken breast on a toasted bun with fresh lettuce,tomato & mayonnaise, served with fries. With cheddar cheese & diced onion. Coke, Diet Coke, Sprite, Orange Fanta, Barq’s Root Beer. In 1951, a young entrepreneur and his wife opened a diner in Des Plaines with the hopes that they could operate a successful business that would be an entertaining experience for all ages. They were James Ballowe and his wife Marilyn, and the diner was the Choo-Choo Restaurant. 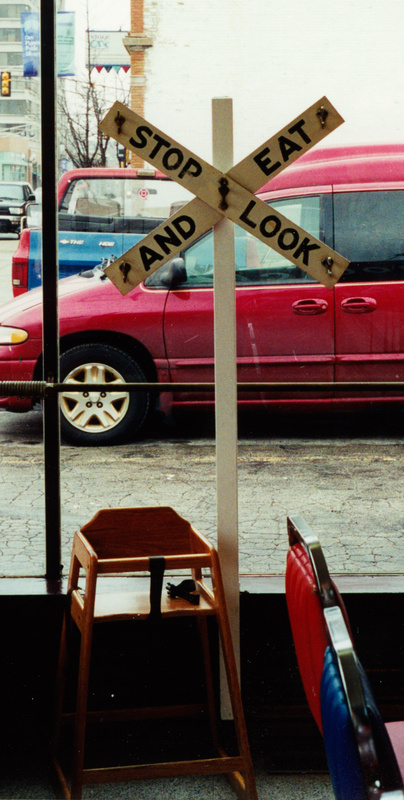 As James Ballowe once said, “Trains go fast, and that’s how we wanted our customers to be served.” The diner quickly became a source of popularity among adults and children alike. And the kids love it too! Here is a review of the Choo-Choo by Siena, a third grader from Olive-Mary Stitt Elementary School in Arlington Heights sent to us by her teacher Mrs. Klimas in 2011. James Ballowe, who operates Choo-Choo Restaurant at Des Plaines, Ill., loads a catsup car of "Hamburger Limited" which bears food to patrons from kitchen. Against the background of a huge photo-mural, Jessie Palmer, one of the Choo-Choo's waitresses, draws a coke for a customer as the miniature Santa Fe diesel hauls a load of "empties" back to the kitchen for more orders. 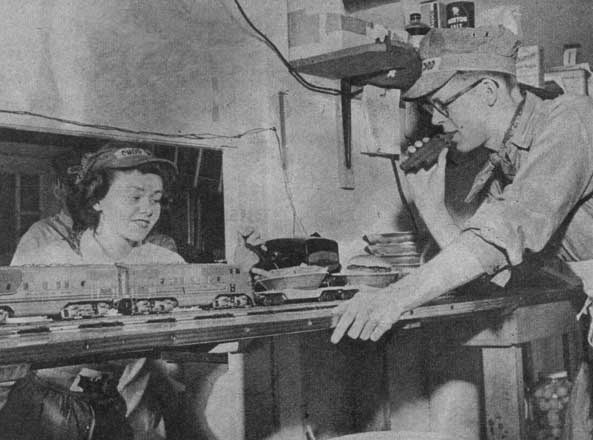 Waitress Cynthia Black loads up a flatcar alongside the "roundhouse" with its array of power in the kitchen. The transformer for the rolling stock is shown in the foreground. 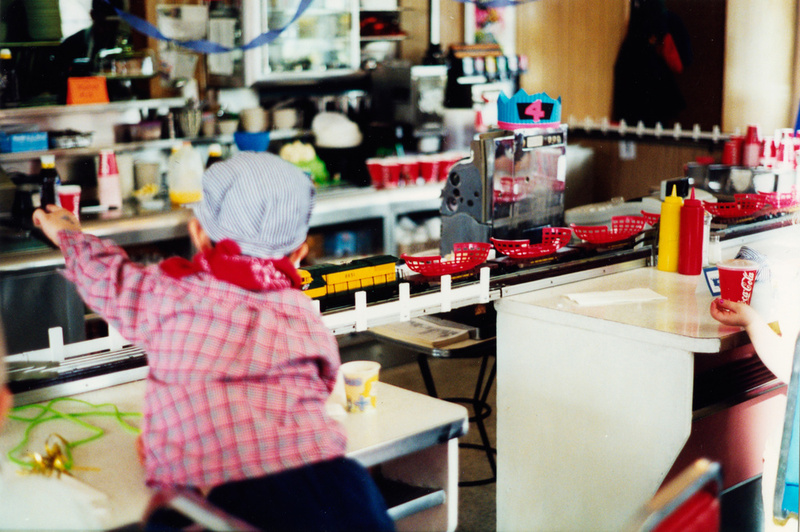 All ages, makes and models of food 'lovin rail fans are evident in this counter shot of the Choo-Choo's interior, as they watch the food-train come rolling down the track with their orders. Two young "rails" — Philip and Dale Benziger watch the diminutive diesel as it noses out of the simulated tunnel entrance of the kitchen on its counter itinerary. Choo-Choo merch, only available online! Get a free birthday meal on us! Come to the Choo-Choo and fill out a birthday club card. We'll send you a postcard good for one free kids meal during the month of your birthday. Our gift to children, birth to ten years old. 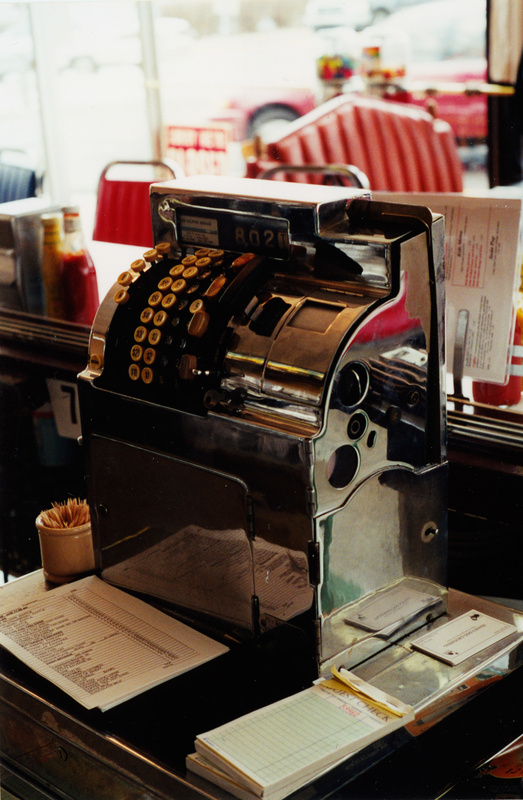 Fill out a birthday club card in our diner at the counter. We'll mail it to you in time to celebrate your child's special day! Only one coupon per visit per family (one exception, twins!) May not be used in conjunction with any other coupon. Meals from a limited menu including: a diner favorite, fries or onion rings, choice of soft drink or milk shake, and for dessert, a signature Choo-Choo cupcake with a scoop of hand-dipped ice cream! The Choo-Choo private party package combines the fun of model trains with authentic '50s diner charm. 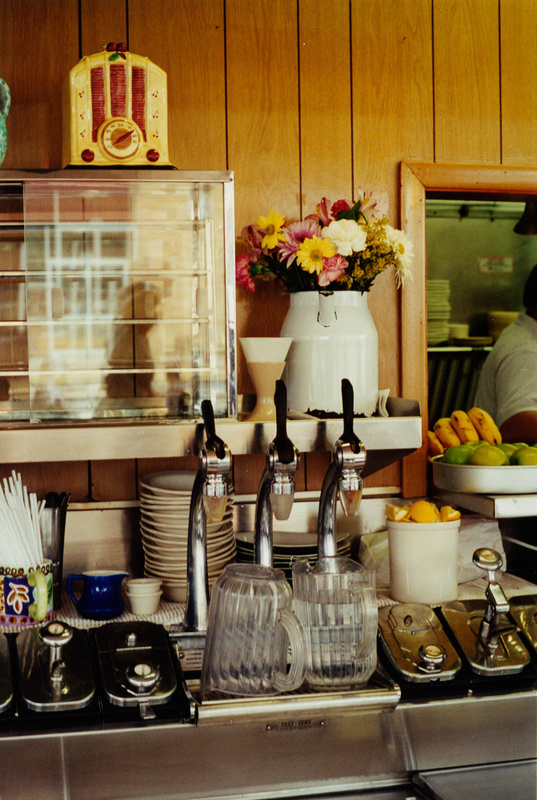 We serve up the sights, sounds, and aromas of an era gone by. If you like your fries crispy, your burgers made fresh, and your malts blended with real milk and ice cream, then you'll love your Choo-Choo private party! 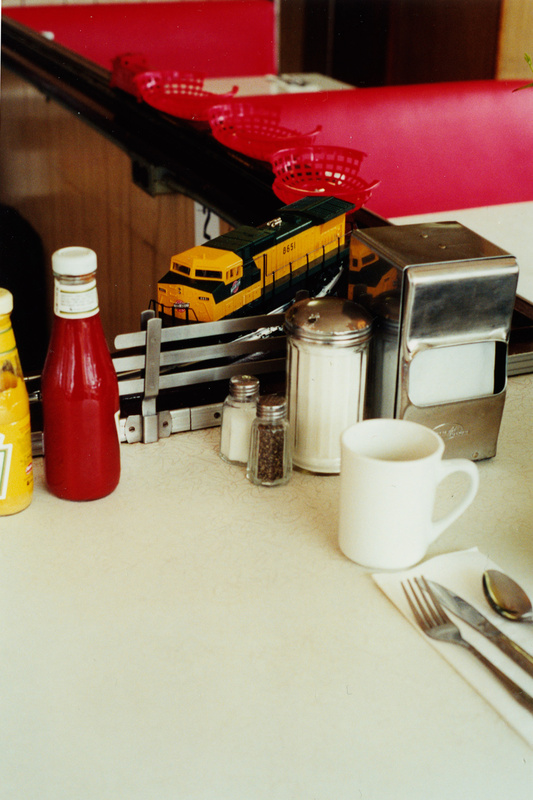 The diner seats up to 50 people, which includes eleven counter stools and four booths on the train line where you can wait in anticipation as a model train rounds the bend to deliver your party food and fun. Additional booth seating is available along the windows. But don't pull out of the station just yet. There's more! Bring in games such as Bingo or play 7-Up! It’s your party, and you’ll cry if you don’t call us. Discuss your party details with us at 847-391-9815 or come on in while we’re open. Get your party plans on track. CALL TODAY AND RESERVE YOUR NEXT PARTY!